Buy More Poly Curling Ribbon Prints Save More! Tropical Orange Wired Satin Stripe Sheer Ribbon is made from sheer organza with a satin center stripe. 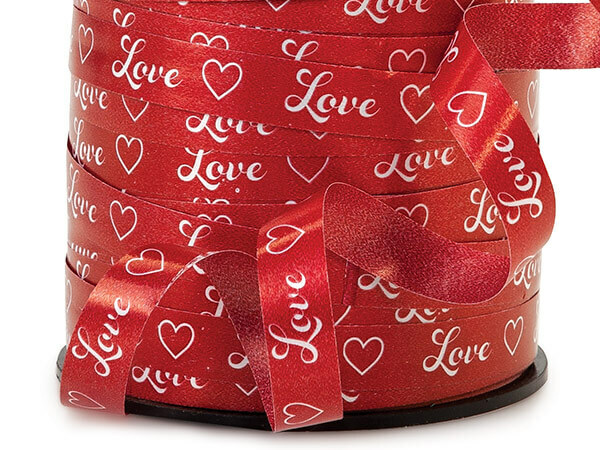 These ribbons can give your package a special message for all occasions and seasonal celebrations! 100% polypropylene curling ribbon. Designs include Christmas, Birthday, Valentine's Day, Paw Print, Animal Print, Gingham & Baby. 500 yard rolls are made in the USA with 100% recycled flange and spool.